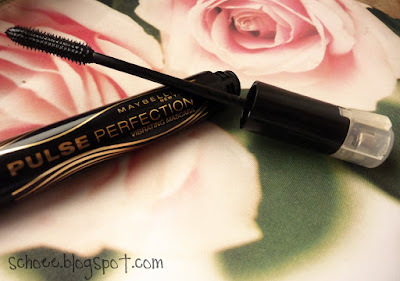 "Pulse Perfection" is the new vibrating mascara by Maybelline, which retails for around £14.99. I never bought into the whole "vibrating mascara thing". When Lancome came out with an expensive version i didn't turn a blind eye. I was happy with the standard brush thanks! 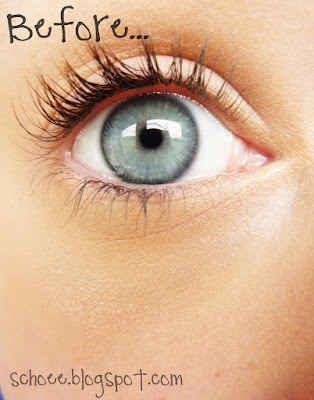 But when i saw that a cheaper alternative had been made, i was intregued to see how vibration could make a difference to the appearance of the lashes. "£15 FOR A DRUGSTORE MASCARA!" It's like the "Define-a-lash" one. 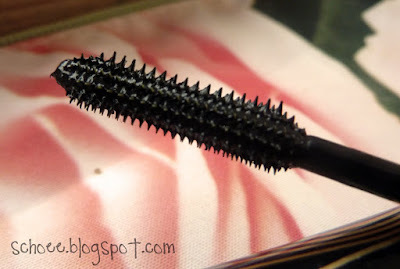 I always stay away from plastic brushes, i find they clump more & dont grab each lash well enough, so usually, i will always stick to a bristle mascara brush. However, i really like this one. The vibration mechanism is on the end of the wand, where you "simply" press down for on...and release for off. I say "Simply" as i know alot of people have had trouble grasping the technique. I did at first. Yesterday my friend wanted to use it, and she went to do it, and got completely flustered and couldnt make it work...and ended up being totally freaked out by the vibration near her face. It was quite amusing. I start from the base of my lashes with the vibration on, and when i reach the tips of the lashes, i turn the vibration off. This was with 2 coats. I think that this is a dramatic difference, i can see how some people may say it clumps easily, but i would never do more than 2 coats as i think this would make it slightly clumpy. I seriously love the effect this mascara has on my eye lashes. It gives the effect i love & want with only 2 coats...usually i will achieve something like this with around 4. It lengthens, and it thickens, and they looked so curly. Just for reference i didn't curl my lashes before hand. I am very very impressed with this mascara, and i will be repurchasing it when mine is finished.